The driving force behind green island studios, Jo Bradford published her international best selling book. "Smart Phone, Smart Photography" with CICO books in April 2018. Topping the Amazon Bestsellers list on pre-orders even before publication, it has remained among the top 5 best selling books on digital photography ever since. Jo is a world renowned, award winning photographer specialising in outdoor adventure, wildlife, environment, travel and landscape photography. 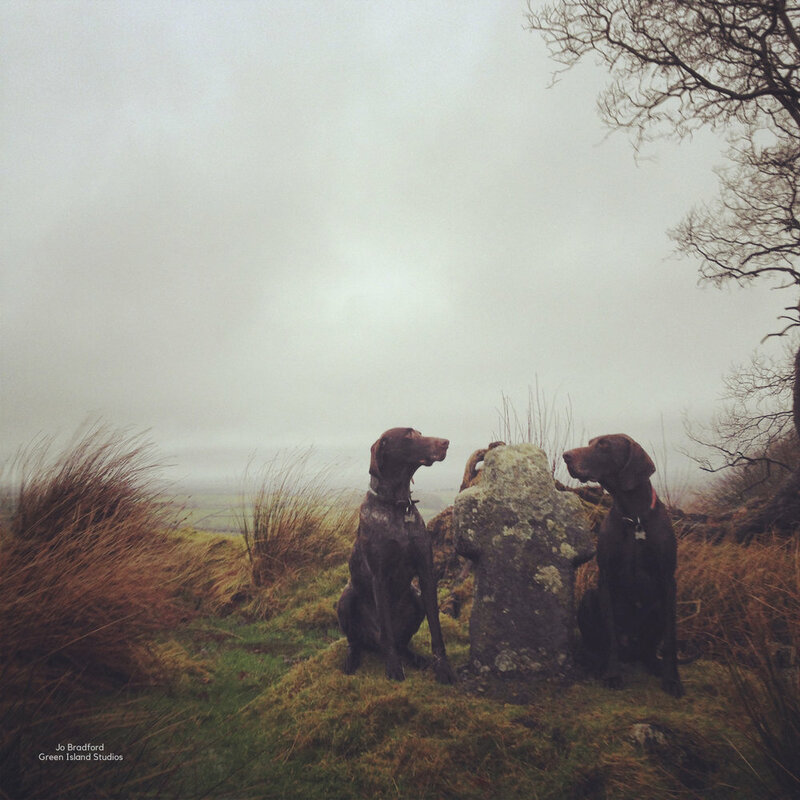 When not travelling the world, she takes pictures of the wild and windy Moor on her doorstep and posts them on Instagram as @greenislandstudios where she has a large and loyal following for her smartphone photography. She delivers a range of photo-adventures, photo-walks, guided tours, and workshops in smartphone photography from beginner’s sessions to masterclasses from Green Island Studios, her bespoke analogue darkroom and photography workshop and studio space on Dartmoor, in the UK. Jo is often featured talking about photography on TV and radio shows including BBC1's Sunday evening prime time TV show Countryfile, and on the BBC and ITV evening news, and on Radio 4. A long-term Getty Images contributor, she has licensed her work and received commissions from clients including American Express, Disney, Oprah.com, M&C Saatchi, MTV New York, Google, AOL, Viacom, Faber & Faber, Hello Magazine, Microsoft, Channel Four TV, Zara, Samsung, Conde Nast France, McGraw Hill Publishing and Random House Publishing. Jo is a regular public speaker about photography, her talks cover a wide range of topics from smart phone photography to analogue photography, wildlife and adventure photography and using photography as a creative tool for social, cultural and environmental change. Born in Hertfordshire, England, Jo was raised in Southern Africa. Jo received her Master’s Degree (with Distinction) in Photography: Critical Practice from University College Falmouth in 2004. Green Island Studios sits high on a hilltop in Dartmoor National Park, with panoramic views across not just the highest points of North Dartmoor but with far reaching west country views taking in Bodmin Moor and Exmoor. It is the venue for a host of workshops, courses and photowalks, including bespoke and intimate residential photography and fine art courses for small groups and individuals. Green Island Studios is the creative studio, workshop space and colour darkroom where Jo Bradford creates her cameraless photographic artworks that are sold in galleries all over the world, and are regularly exhibited and collected in Europe, America and Asia. 2016 – Arts Council England Grants for the Arts. 2015 – DNPA / ‘Your Dartmoor Fund’ Grant Project Funding Award. 2010 – AA2A / Arts Council Fund Artist in Residence Scheme – Plymouth College of Art. 2008 – Saatchi Gallery & Harper Collins Publishers Shortlisted Book Cover Design. 2006 – Unlocking Cornish Potential Graduate Placement Award. 2004 – Fenton Arts Trust Grant Project Funding Award. 2003 – Arts Council England Grant Creative Development Award. 2003 – West Midlands Arts / ‘Trade Partners International Grant’ Rhubarb Rhubarb Half Bursary Award. 2002 – Arts Council England Grant Creative Development Award. 2002 – West Midlands Arts Grant Rhubarb Rhubarb Full Bursary Award. Jo has two children and 2 German Pointer dogs. She spends what little spare time she has trail and road running. Her favourite racing distance is a 10 miler.